Good sleep is essential for good health. It is important to have atleast six to eight hours of sound sleep to lead a healthy life. Our body recharges and detoxifies itself during sleep in order to prepare it for the day ahead. But today’s lifestyle hardly allows anyone to have solid eight hours of sleep. Everyone is busy with their own schedules. But this shows upon their health at the later stages of life. Many people become drug addicts in search of a good remedy for their sleepless nights. A natural activity like sleep which should happen naturally without any hurdles now needs the support of medication. This illustrates the plight of today’s life. Stress, anxiety, depression, medical condition, change in your environment or work schedule, poor sleep habits, medications, food habits, caffeine, nicotine and alcohol are the common causes of insomnia. Bothering too much about work, school, exams, health, and family or for that matter any other responsibility steals away your sleep during night. Events like loss of a loved one or problems in relationships, divorce or joblessness may worsen your state. These issue may lead to anxiety and depression at later stages. The brain is continuously engaged in brooding over these issues which keeps you away from sleep. Thoughsuch mental health disorders form the main reason for sleeplessness, lack of enough physical activity also becomes the reason in many cases. Apart from mental and physical issues, certain medications taken to cure few diseases also lead to insomnia. Although excess intake of coffee and tea, smoking and drinking are well-known for their effects on our life. Besides all these lack of proper discipline in one’s life style could be the main reason that spoils your sleep. Food habits also impact your sleep. Intake of healthy food in time ensures good sleep. Skipping your meals timings or your meals altogether might seriously affect your sleep in the long run if done regularly. Adhering to strict timings to eat and sleep will rectify most of the health related issues automatically. Yoga can offer an excellent solution for insomnia. There are a number of asanas which can deal with this disorder. Hastapadansa which involves bending forward keeping your knees straight allows your spine to relax which eventually relieve the stress out of your nervous system helps you sleep well. Marjari asana, the cat stretch serves as an excellent stretch for your spine. This also helps to improve your digestive system and hence relieve any troubles related. Shishu asana or the child asana stretches your spine deeply and relaxes your nervous system and thereby induces good sleep. Similarly there many other such asanas which relieves your physical body from stress and improve your sleep. Apart from these, yoga also offers excellent remedy for mental disorders too, which might cause sleeplessness. Meditative and breathing techniques like pranayama can help relax you mind and relieve of all your stress and anxiety and help you sleep happily throughout the night. 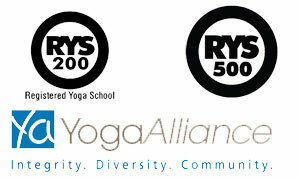 Yoga teacher training in India offered by Yoga faculty had served as good treatment for many insomniacs so far. 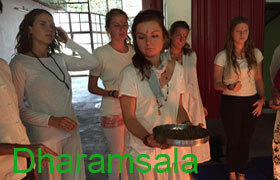 The breathing techniques and asanas taught here helped them bid goodbye to their sleepless nights.